According to several reports published towards the end of the last week, the internet portal Yahoo is about to enter a partnership deal with popular online review website Yelp. 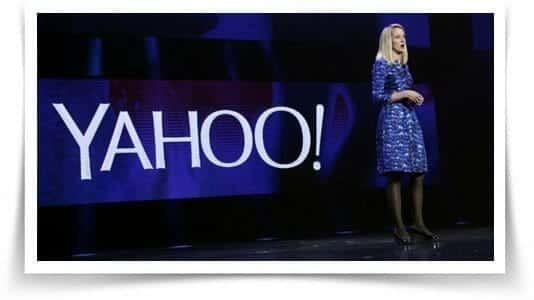 This announcement was made last Friday by the Chief Executive of Yahoo Ms. Marissa Mayer during an employee meeting. As a result of this high profile partnership, Yelp’s local business reviews and listings will be incorporated on Yahoo’s search engine results. According to reliable sources, this new feature will be available to end users in the weeks to come. As all of you already know, Yahoo happened to be the strongest and the most dominant of all internet portal at one point of time. Now, under the leadership of Ms. Mayer, Yahoo is making an all out attempt to turn things around by revamping their search technology. This new partnership will allow Yahoo to surface more content from the local listings available in Bing. As a result, Yahoo will be able to differentiate from its search partner Microsoft Bing and put up a stronger competition for search market leader Google. It is relevant to mention here that after dropping by almost 50% since 2008, the present search market share for Yahoo is less than 11%. According to ComScore Inc. this figure is currently at 67% and 18% for Google and Microsoft respectively. Local business data is now considered to be an inseparable part of search engine and different online services as more and more consumers use Smartphones to find out products of their requirement. It may be recalled that a similar partnership deal was struck recently by Microsoft with Foursquare, the maker of mobile check-in software. Yelp has been a part of similar content partnerships with Apple and Microsoft, displaying reviews, local listings, and images on the mobile mapping software. The details about the new deal signed between Yahoo and Yelp are still unknown because their respective spokespersons Sara Gorman and Vince Sollitto refused to reveal any details. Yahoo is already in the middle of a search deal that they signed in 2010 with Microsoft. As per this deal, Microsoft provides the primary search technology to Yahoo. Their own interface and features are used by Yahoo to tailor their visitor service. On the financial side, Microsoft receives 12% of the revenue generated by Yahoo from search advertisements that appear next to different search results. Search ads are responsible for generating more than 33% of revenue earned by Yahoo. 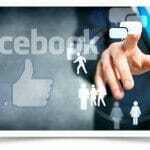 This figure increased by 8% to reach $461 million during the last quarter of 2013. In January 2014, Yahoo forecasted a sales figure between $1.06 and $1.10 billion excluding payouts made to partners, for the first quarter. This figure represents a less than 1% growth comparing to the figure just one year ago. On the other hand, Yelp has forecasted a yearly net revenue of around $358 million, with a whopping 53% growth. During her days in a search leadership role at Google, Ms. Mayer was actively involved in Google’s efforts to acquire Yelp in 2009. Now, five years down the line, Yelp becomes a crucial part of her present company’s future plans.